It started with a wall, and it ended with something called ‘Nuclear Winter.’ Between wall and winter were other, lesser-known things. Riots. Depressions. Uprisings. Coups. Tweets. Most Merrykans knew only that the wall was supposed to save them. Knew only that the wall had been their downfall. As Terri Fox sat forlornly by the side of the dust-devilled road, she contemplated the wall towering over her. Further towards Westcoast, encampments had sprung up around it, thousands of Merrykans living in its shade. But she’d always found something sinister and cold about its unnatural height and pock-marked surface. Not to mention the strange symbols painted on it in swathes of red and green and blue. A language, some said. A message from the ancestors. A warning to build no more walls. A warning they’d all taken literally. “Where do they come from?” asked Tab, as he and the Elder stopped by the weathered stone pillars. Ever since he was old enough to crawl, the out-of-place stones had fascinated him. Carved by some unseen hand from a light grey material, there was nothing else like them in the whole of the tribe’s territory. The Elder glanced down at him, then folded himself down onto the ground. Sitting cross-legged, he patted the bare earth beside him, and Tab obliged. Before I get to my entry for this flash fiction challenge… exciting news! Some of you may remember my previous post, lamenting my lack of spare time due to seeking a new role with the Planetary Expeditionary Forces (as well as reporting on my canine’s apparent dislike of Tom Hiddleston). Well, I’m happy to report that the PEF have offered me an exciting new role, so now I will not only be observing people, but also developing them through the use of non-invasive surgery! Haha just kidding about the surgery part. Once I’ve settled into my new role (and spaceship) I’ll hopefully be able to resume my regular reading and writing and blog-following schedule. It’s been a while since I posted anything here, largely because I’ve been seeking new employment (unsuccessfully thus far) within the Planetary Expeditionary Forces, leaving me little time to be creative. Also, I have a new spaceship. My new spaceship is red, and therefore automatically faster than the old blue spaceship I used to own. Should anybody be interested in purchasing my old spaceship, I am selling it off for 1,000,000,000,000,000,000 blurgcoins. Please leave comments below to register your interest! I have finished moving all equipment into the new spaceship. Glorken has come with me, as has the small canine I procured earlier in the mission. Other than that, there is nothing really new with me. I approve of the new Thor movie and can’t wait for the next Star Wars instalment. I haven’t been doing as much reading as I should have, owing to aforementioned busyness. I’ve also discovered, thanks to Crimson Peak, that the canine does not enjoy spooky music or bloody ghosts crawling through walls and floors. She may also not like Tom Hiddleston. Other things the canine does not like include lions, polar bears, wildebeest, reindeer/caribou, walruses, narwhals and hyenas. As a result, we no longer watch the the Nat Geo channels on my spaceship. Here is a picture of canine’s unimpressed don’t-like-Tom-Hiddleston-or-narwhals face. I hope to get some time to produce new stories and fascinating reports to the homeworld over the seasonal period, but in case I don’t get chance, we the inhabitants of Spaceship #2 would like to wish all of our regular followers (yes, all six of you!) a very Happy seasonal period and a joyous renewal of the Gregorian calendar. Nestling down into the pile of leaves clustered at the base of the tree, Lars folded his arms to tuck chilled fingers into warm pits. He turned his face toward the waning sun and enjoyed the warmth of the dying rays caressing his skin. It wouldn’t be long before the sun failed to chase away the frost entirely, and he was looking forward to long days spent in front of the fire. Nearby, one of the flock bleated plaintively. Lars glanced over them and, content that the animals weren’t wandering too far, closed his eyes to doze in the remnants of autumn. Images filled his mind, images of falling leaves and herds of migrating reindeer, of frost patterns on glass and flights of geese in their sloppy V-shapes. A song filled his mind, something strange but familiar, as quiet as a whisper, growing louder as its source neared. Something brushed against his face. He bolted upright, his hat falling off, heart pounding a staccato in his chest. The ‘something’ was a leaf, crisp and orange, that the tree against which he slept had given up. Lars reached for his crook as he leapt to his feet. Wolves and wildcats were the usual culprits when sheep went missing, but the occasional human thief was more of a nuisance than the wild animals. He didn’t see the woman, at first. His eyes seemed to skip over her, so that it was only when she moved that he truly saw her. Crouched beside one of the sheep, she was stroking the animal’s woolen coat, and when she saw him staring, she smiled and stood. “Who are you?” He kept his grasp firm on the crook, let his gaze dart from side to side. Last year, over on Gunther’s pasture, a pretty maiden had distracted the shepherd while a thief snuck up behind and knocked him clean out. When he woke up, every single sheep was gone. Lars was not going to fall victim to the same fate as his friend. It wasn’t until he glanced down to her feet that he realised how outlandishly she was dressed. Her long auburn hair was braided in a crown around her head, whilst her dress wasn’t only the colour of the fallen leaves, it actually seemed to be made from them! A pauper, clearly; she went barefoot, without even a slipper to cover her surprisingly clean feet. Her perfume shifted with the changing breeze, at one moment damp and loamy, like the rotting of mulch, and then heady and spiced, like warm pumpkin soup. And her eyes… her eyes were the deep gold of ripe corn, rich and pure, framed by lashes flickering coyly as she watched him watching her. “Who… what…” Lars licked his lips. Glanced down at the crook, which now seemed such a feeble weapon. This was foolish. He was foolish. She was just some peasant-girl. Just a girl. The smile that curled her lips was mischievous. Had she read his mind, or simply finished his sentence? The latter, of course. A man’s thoughts were his own. Still, the way that she looked at him, and the way he felt standing before her… naked, yet safe. Exposed, yet protected. He knew, somehow, that as long as she stayed, he would come to no harm. Her gaze turned West, towards the distant sea. On bare feet she stepped silently through the flock, her attention already focused elsewhere. Lars reached out to touch her shoulder, then quickly thought better of it. “Where will I find you?” he asked in desperation as her feet carried her ever forward. But it was too late; she was gone. Lars opened his eyes and shook his head, ridding his mind of the remnants of his strange dream. The light was fading, the red sun sinking swiftly behind the mountains. Soon it would be dark. Time to go home. He stood, extracting himself from the pile of leaves that covered every inch of him entirely to his chin. How—?! The tree had shed all of its leaves while he’d been asleep. They covered him in a blanket, warming him against winter’s crisp chill that was creeping into the air. Nearby, the sheep were silent, and when he realised they were all standing facing the direction that the strange woman had taken, he couldn’t help but shiver. Thanks for reading my Autumn anthology! In case you missed my previous Autumn-themed post, they can be found here, here and here. 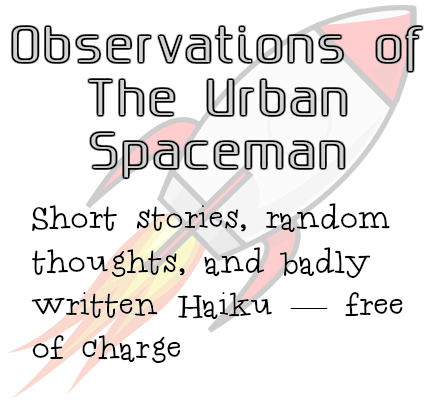 Tuesday 31st will see the three Autumn haikus brought together in a flash fiction. Autumn (fall) is going to be a theme of my upcoming stories and poems. The scream from the alley drew Xander’s attention. A smile tugged at one corner of his mouth. And here he thought it was going to be a quiet night in the big city. He moved closer, flitting from shadow to shadow. The scream echoing down the alley was reflected inside his head, bouncing around his skull, a wordless cry for help. Xander reached into his pocket, fingers brushing against something cold, something metal. He pulled out the coin and held it between his finger and thumb. What do I want to be today? Good, or evil. Naughty, or nice? Saviour, or passer-by? The coin flashed through the air, coldly glinting against the streetlight. He caught it on its fall, and slapped it against the back of the hand. A shiver of excitement rippled down his spine. This was always the best part. That moment of anticipation. Of not knowing what was going to come next, or who he was going to be until the next toss. He pulled away away his hand, revealing the heads side. Another smile graced his lips as he reached into his other pocket and grasped the handle of his switchblade. Sometimes, being good could be as much fun as being evil. I’m a little late to Chuck Wendig’s Good vs. Evil story party this week. I went for brevity, and hope you enjoyed it!